We take our Obsession seriously. So should you. 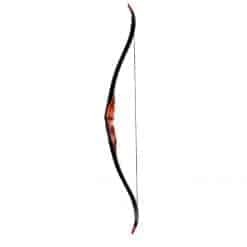 The All-New 2019 HB33 Huntress is built on a platform with the female archer in mind. The narrow-throated grip, the forgiving brace-height and smooth draw-cycle makes the HB33 Huntress ready to take on the challenge. Our HB33 Huntress’ rotating mod system offers a wide-range of adjustability while it’s compact, light-weight design makes this bow ready to climb high and be the tool you need to fill tags this season. Please state riser colour, limb colour, string colour, and cam colour on checkout. Colour list is at the bottom of the page. Draw Length Choose an option26.5"26"27.5"27"28.5"28"29.5"29"30"
26.5", 26", 27.5", 27", 28.5", 28", 29.5", 29", 30"